The Fed has burst the Everything Bubble. No one has noticed it. Indeed, everyone in the US seems to be blissfully unaware. 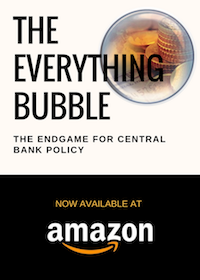 But the reality is that the massive bubble created between 2008 and 2018 is in the process of bursting. And the Fed was the needle. If you think I’m being dramatic, consider what has happened around the world in the last nine months. 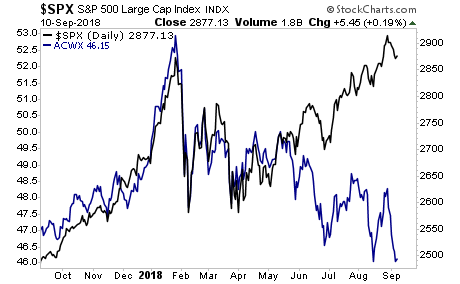 While US stocks have continued to move higher courtesy of capital flowing into the US as a result of the Fed’s policies (more on this shortly), the rest of the world is entering a meltdown. China’s stock market is down 10% year to date. 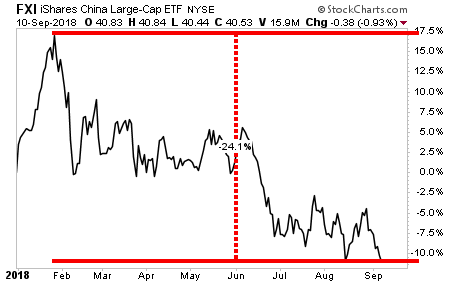 But if you go from the 2018 recent highs, Chinese stocks are down OVER 24%… meaning they are in a full-fledged bear market. 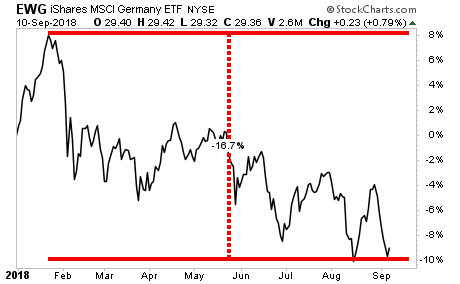 Germany is down 17% peak to trough… just a few bad days away from a bear market too. 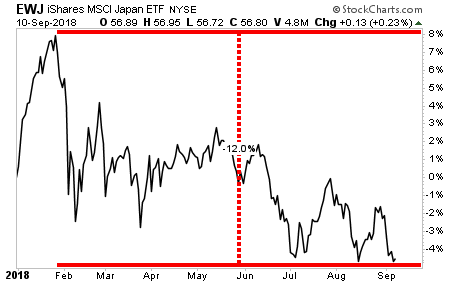 Even Japan, which is being propped up by its Central Bank on a near daily basis, is down 12%. So why is the US not in trouble yet? Because the Fed policies of raising rates is making the US EXTREMELY attractive to capital. Today, the yield on short-term US debt is over 2%. This is happening at a time when MOST of the world is still posting NEGATIVE yields. Put simply, the Fed is making US debt EXTREMELY attractive to capital… at a time when other nations are PUNISHING their debt holders. As a result of this, capital is moving into the US propping up our markets, while the rest of the world collapses. The black line is the US stock market. The blue line represents global stocks excluding the US. Again, the Everything Bubble is bursting. And smart investors who put capital to work here stand to make LITERAL fortunes. Do NOT delay… there are fewer than 29 slots remaining. 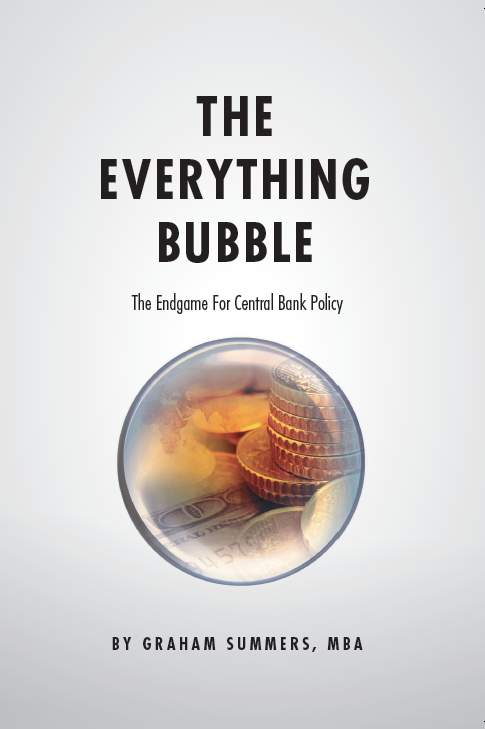 The Everything Bubble has Burst… Are You Prepared?